Celebrating International Women’s Day…and the bold changes these Enterprising women are making. They say some are born to become change agents…and others have that need thrust upon them. But in every circumstance, it’s a huge help to have the right can-do culture behind you – so say four women who’ve made a difference at Enterprise and beyond. 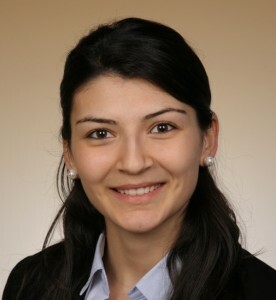 For Aysun C., an HR Generalist based in Eschborn, Germany, the opportunities have come quickly. She joined Enterprise in November 2015 precisely because of the company’s “open doors” attitude—hoping it would enable her passion to promote employment for people with disabilities. It’s a personal passion, because a family member has a disability—giving Aysun both a comfort level with and a keen insight into the barriers differently-abled people often face. Within a month she made her first hire…and after 12 months, six employees with disabilities had joined the ranks—or 5% of the Enterprise head office workforce in Germany. The key: “You have to be ready to build a plan for a person’s unique abilities,” Aysun says. A case in point: The significant investment in special equipment required to help a visually impaired employee work in a call center. “He’s doing great—he has an amazing phone voice, and his performance rivals everyone else on the team,” she says. Tamara W. shares Aysun’s passion for opening doors, and she credits Enterprise with teaching her how to make it happen. When Tamara’s son Alex was born 12 years ago, she learned that he has Down syndrome. As Alex reached school age, “all of a sudden, I found myself becoming an advocate,” she says. Despite laws requiring an appropriate public education for all children, the neighborhood school wanted Alex to attend elsewhere—mostly because the teachers didn’t have the appropriate training or resources. says Tamara, a former Rental Area Manager turned HR Generalist in Dallas, Texas. “So I went to work, finding ways to help the teachers get what they needed to be successful with my child.” Now a sixth grader, Alex is earning all “A’s” and was recently elected to the Student Council. Great things happen when we listen… to our customers and to each other: It’s an effective formula whether you’re challenging the local school board, or confronting prejudice. The latter has been Abi M.’s focus throughout her five-year Enterprise career. Now a Branch Manager in Nottingham, United Kingdom, Abi joined her operating group’s Diversity Committee to focus on LGBT issues. She championed an inclusion training agenda for new hires. She encourages colleagues to join her at Pride events throughout the year. Through all these efforts, she’s become a vocal promoter of equality for the LGBT community—and relentless in overcoming any negative reactions. “I try to never shy away from difficult conversations,” she says. It didn’t take much convincing when a business partner asked Heather P. for leadership help to “Silence the Growl” in Atlanta, Georgia. About 350,000 kids in her metro area qualify for free or reduced-fee lunches during the school year—and that often means “they’re food insecure” during the summer months. The first time around, Enterprise and the corporate partner wrangled up 2,000 lunches. Heather’s reaction: “We can do so much more.” So the VP of Business Rental started networking among her customers and business associates—and set a stretch goal of making 15,000 lunches.